I’m of two minds here. Part of me wants to be all like, ‘Borås is not ready.’ The distance between the coffee I found the first time I walked into an office in this unassuming city in 1991, and what da Matteo has to offer today is too great: perhaps people don’t recognize it as the same product. So one part of me wants to write that, in order to get this city of coffee newbies to understand, appreciate, and pay for what happens at places like da Matteo, we need at least three generational shifts, and something like a local collective DNA makeover or two. At this point, I want to write, Borås does not deserve da Matteo, and it is right that they go away. The other side of my brain wants to analyze what has really been going on here. The first problem with a statement like “Borås doesn’t deserve good coffee” is that, as far as I could see, da Matteo Borås wasn’t even doing so badly. On many days, there were pretty long queues in the restaurant, and people were not only waiting for a sip-and-go experience, they were eating lunch, doing whatever one does with one’s baby, chatting, surfing the internet (as said: free wifi) and ordering more coffee and croissants – all things one would expect to happen in a newfangled and pleasant high-end café. 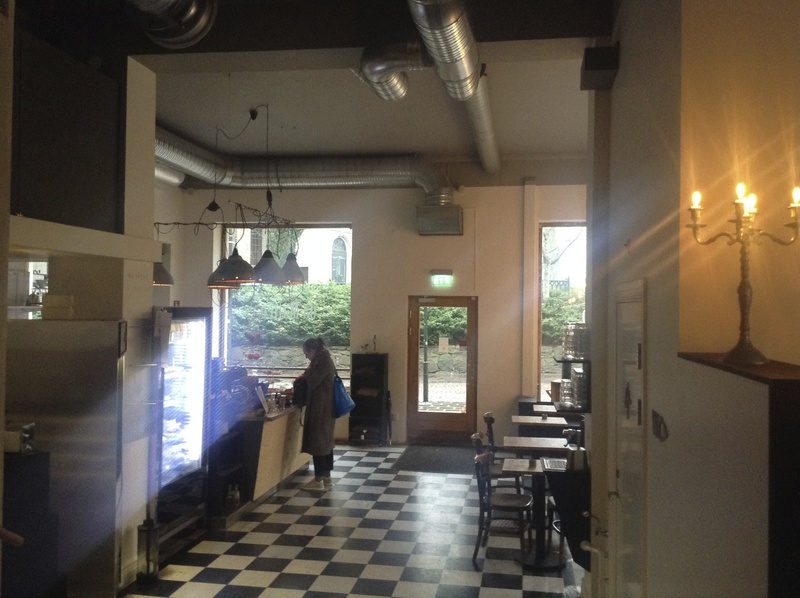 There is another problem with “Borås doesn’t deserve da Matteo.” It likely is more or less exactly what the owners of da Matteo, safely tucked away in Gothenburg (second largest Swedish city and fifth largest in the Nordic countries), were thinking when they announced to a dismayed local staff that they decided to give up on them. Why, then, did anyone try to open a café of this kind in Borås at all? Gothenburg houses two universities, has a vibrant geek and hipster scene, and coffee consumption in the center of town is backed up by an army of upscale office people who clearly are prepared to cave in to their coffee craving at any time of day. To expect anything like this from sleepy Borås, with just one college and far fewer downtown offices is silly: if one lacks the patience to give the people of Borås a chance, well, it’s perhaps better to stay away. We might just as well say that da Matteo isn’t ready for Borås. Be that as it may — we’re pretty sad over here. How the news about closing da Matteo Borås has spread nobody knows, because the fact was not advertised, but something has changed — during the last few weeks there have been fewer visitors. And that’s not how it should be: the coffee, the service, none of this has changed. Why not show some solidarity with the staff, who didn’t want all this to happen either? If you’re in Borås, try them out, for now they’re still there! This entry was posted on April 3, 2014 at 8:02 am and is filed under food, restaurants. You can follow any responses to this entry through the RSS 2.0 feed. You can leave a response, or trackback from your own site.